Do you remember celebrating Valentine's Day as a kid and carefully writing out a card to every student in your class—and later checking to see whether your crush signed yours with "love?" 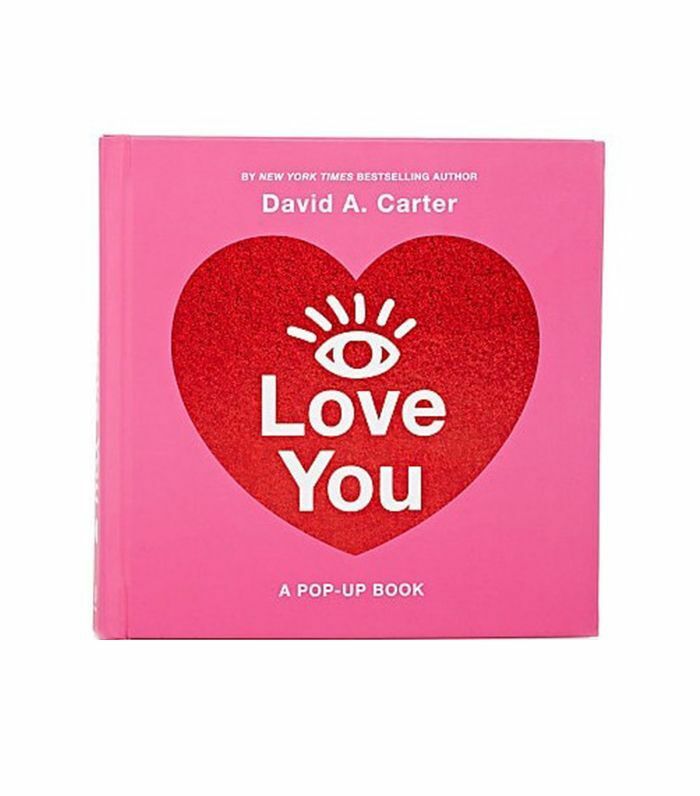 I also always remember my parents having a little something for me to celebrate the day, which is why we rounded up our favorite Valentine's Day gifts for kids that are on the market now. Parents are getting creative when it comes to showing their kids they care on February 14, giving them everything from personalized sweets to heart-emblazoned games and clothes and the sweetest diary. 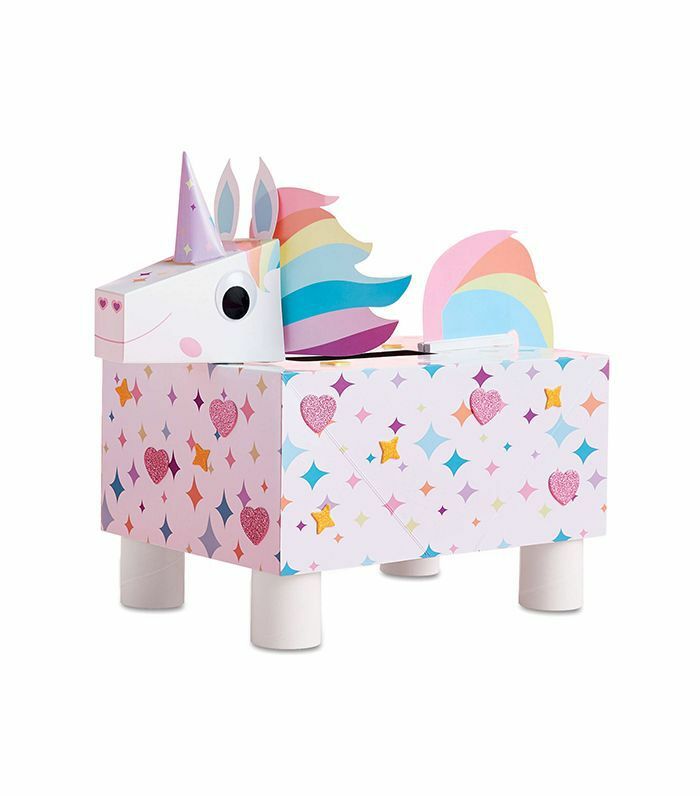 You can even craft a custom unicorn or robot mailbox with them to hold their many Valentine's Day cards. 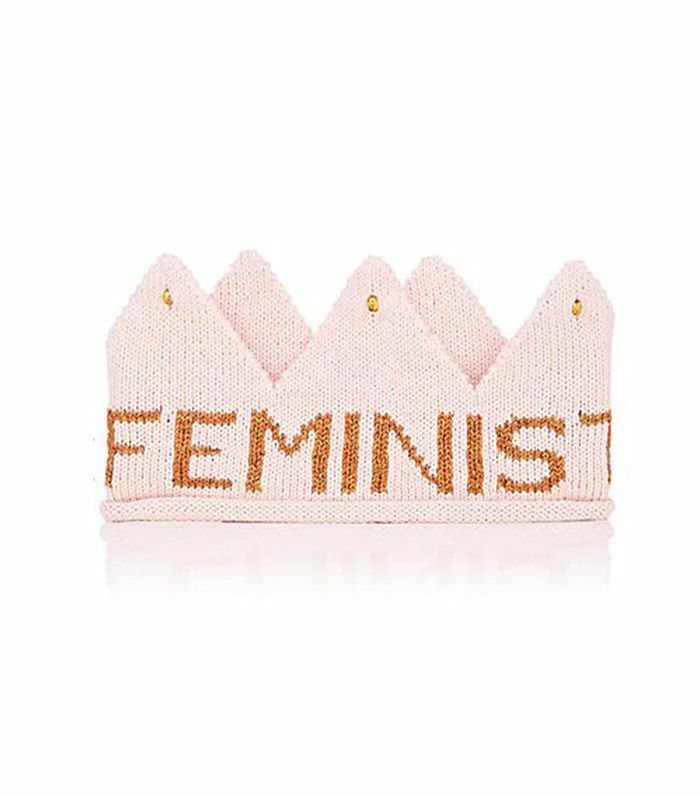 So go on and share the love with these 17 Valentine's Day gifts for kids. 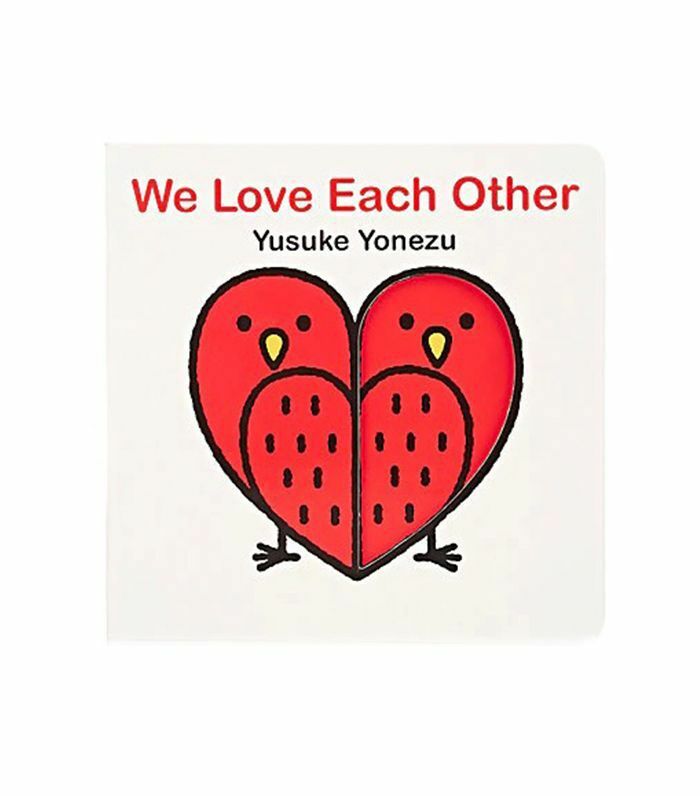 For children 1 to 3: a book that features gorgeous cut-outs that begins to explain the concept of love. Have your little one pick out their favorite animal from an assortment of elephants, rabbits, and more. 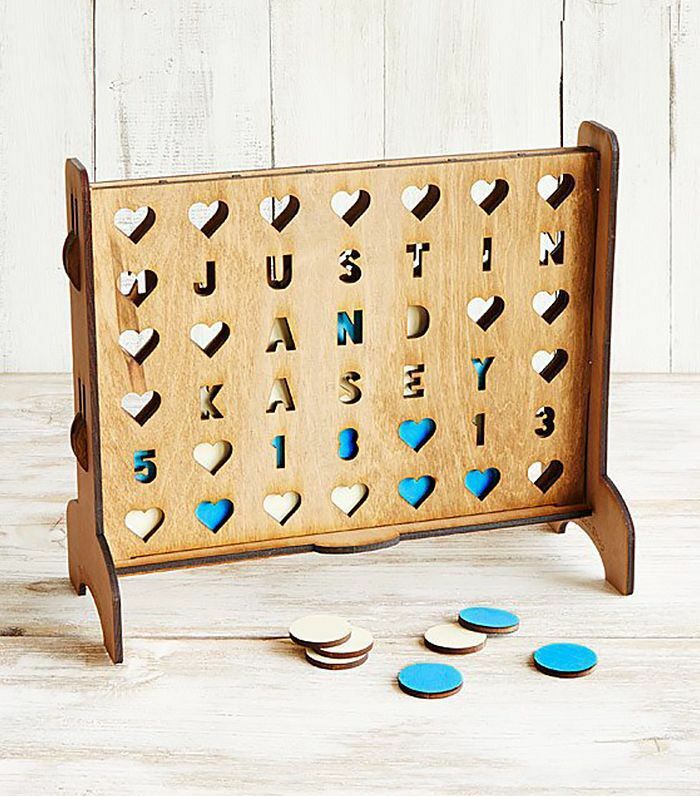 This custom wooden four-across game is handmade in North Carolina to your preferences (including disc color). Suggestion: Write your child's name and "Mom" or "Dad." Every child should have a diary to write down their thoughts and dreams. What makes this pick so sweet? Its gorgeous silver lock and embossed detail. 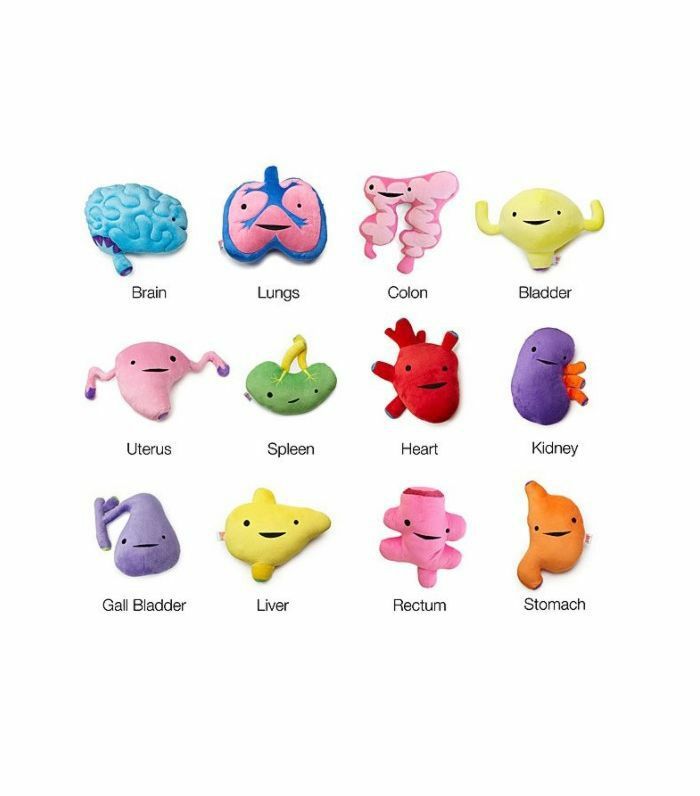 These plush toys make it easy to discuss the organs with your child (including the heart). Fun fact: They're designed by an illustrator who is intrigued by human anatomy. 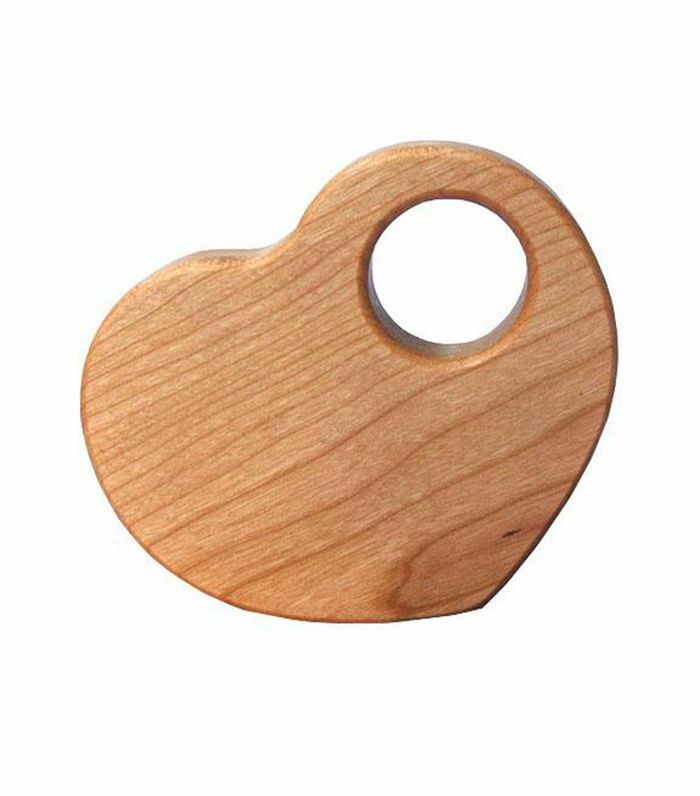 A maple and birch wood mini rolling pin will leave your child's name imprinted on the dough while you make Valentine's Day cookies. Teach your child from a young age that they can be anything they set their mind to. Shiny gold stitching and details are fit for your little royal. A box with customized M&M's is a winner of a gift, especially when you go to the trouble of having photos of your child emblazoned on the front. Now that's not something you can just pick up on a whim. 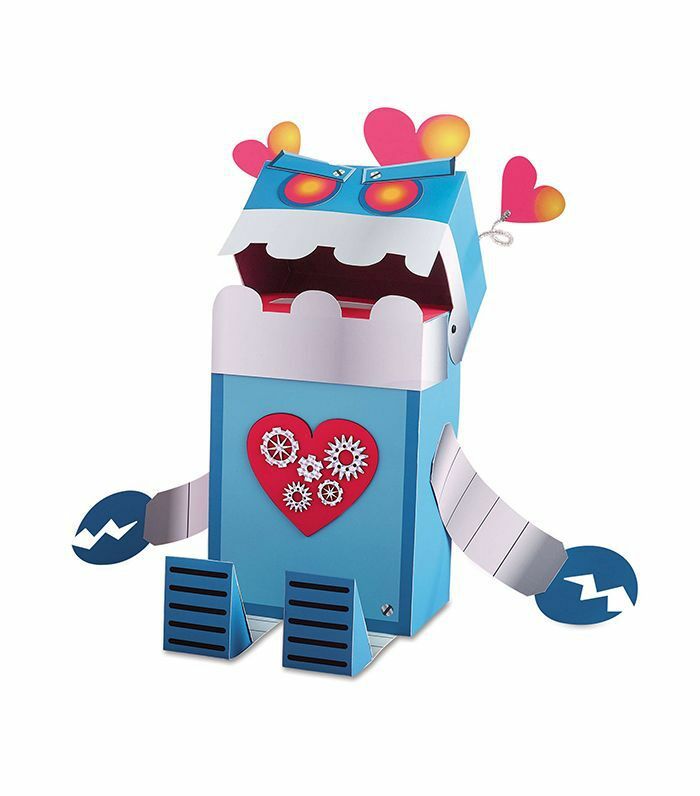 Engage in a fun Valentine's Day activity by building a paper robot mailbox for all of your child's cards. Expect metallic pipe cleaners, stickers, and much more. 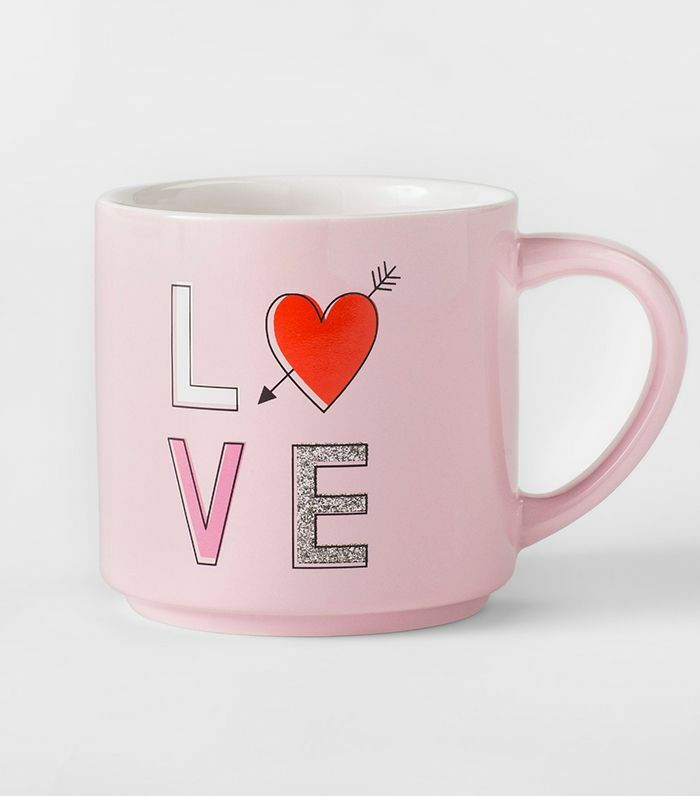 A cute "Love" mug is perfect for holding hot chocolate with piles of marshmallows. We like that it's a daily reminder of how much you care. Since there's no such thing as too many cute Valentine's Day card mailboxes, check out this adorable unicorn style. Leave one at home for family Valentines and one at school for their classmates' notes. 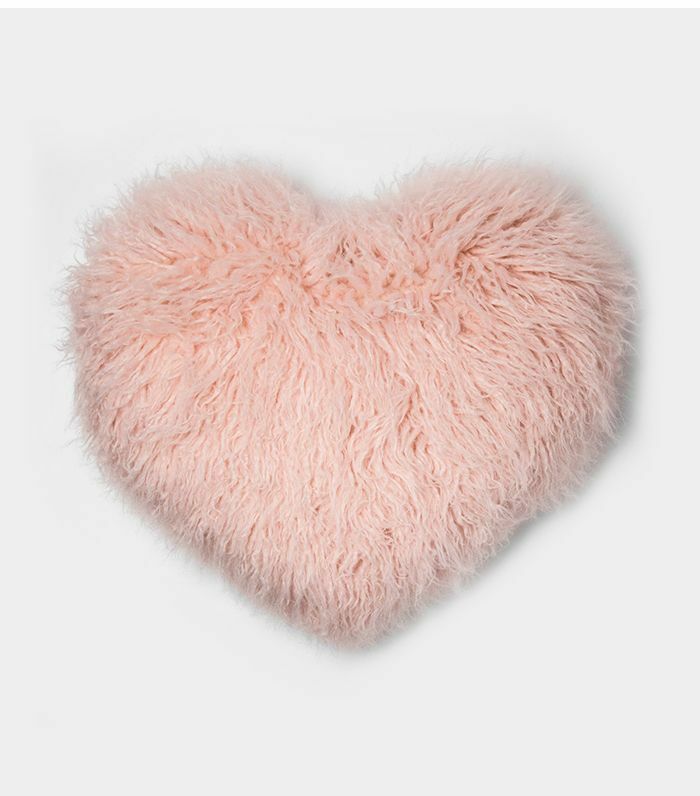 Leave this oversize throw pillow on their bed the night before Valentine's Day so they have a treat to wake up to in the morning. Plus, did we mention it's super fluffy? Valentine's Day is about dressing the part, no matter how old you are. 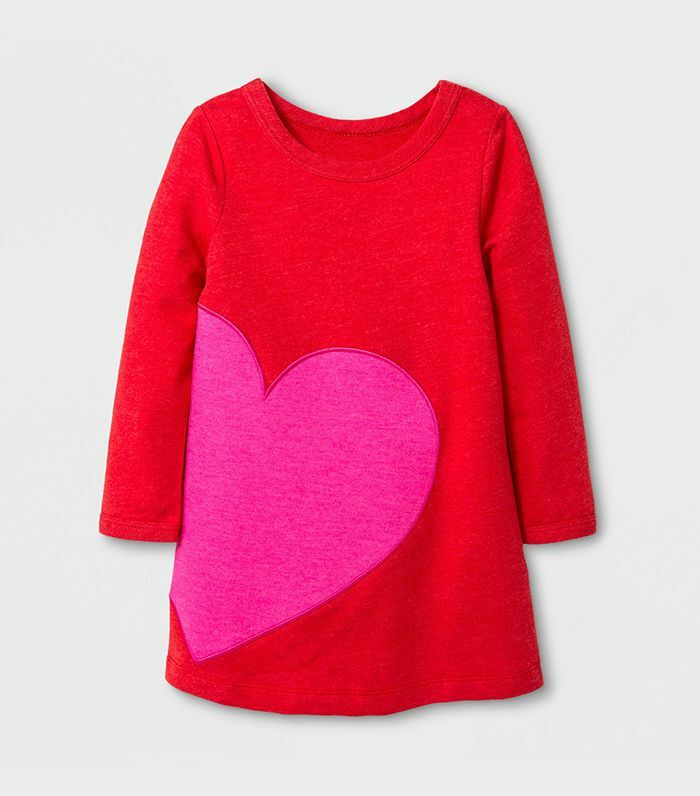 Case in point: a toddler-size little red dress with a bold pink heart (it's made out of sweatshirt material). 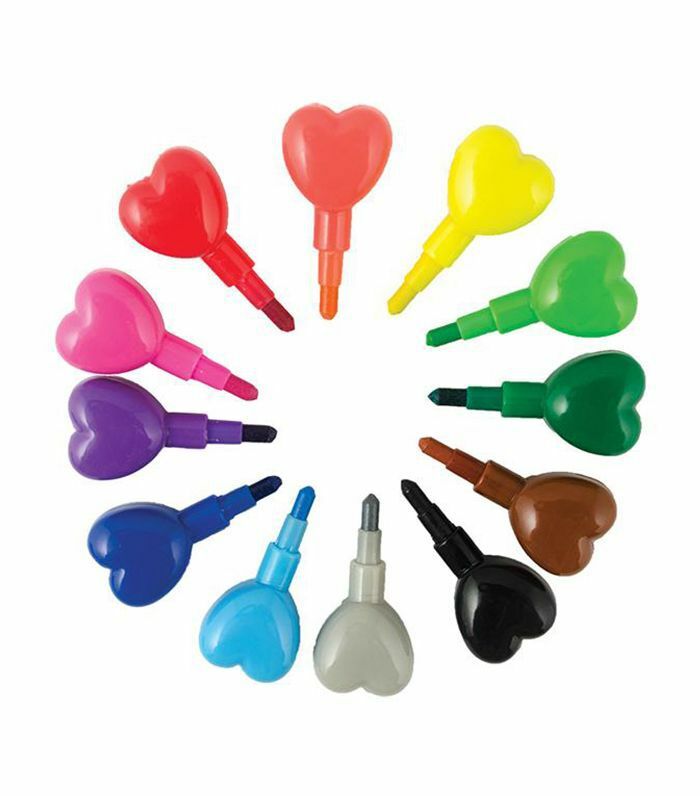 A mini set of crayons gets fancied up with heart-shaped holders, perfect for the holiday (or any day, really). When kids get sick of coloring, they can stack the crayons on top of one another to make a faux necklace or snake. 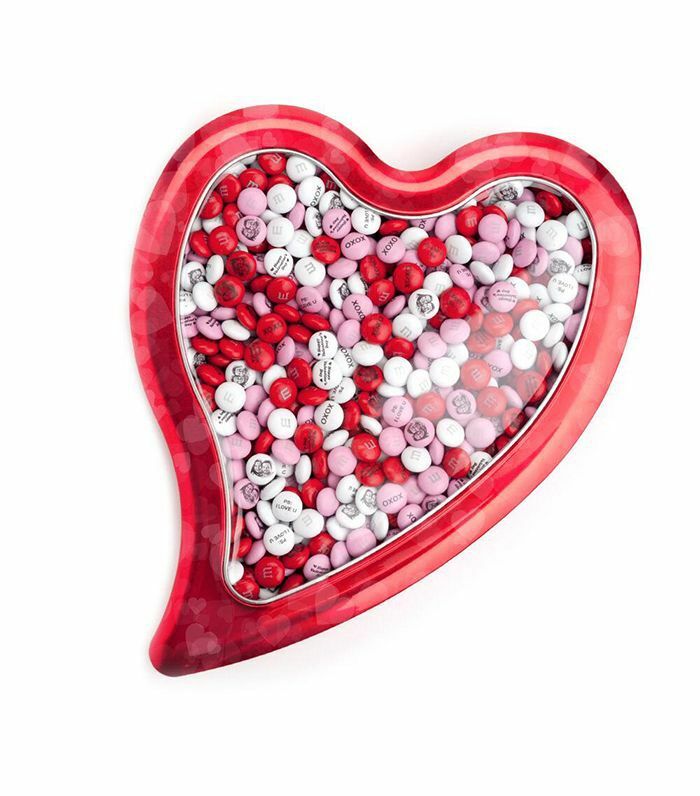 Get baby in the Valentine's Day mood with a heart-shaped rattle. (Worth mentioning: It's made of wood so it's close to indestructible). This is kind of like a piñata, only your child won't have to hit it with a bat to reveal the (many) prizes inside. 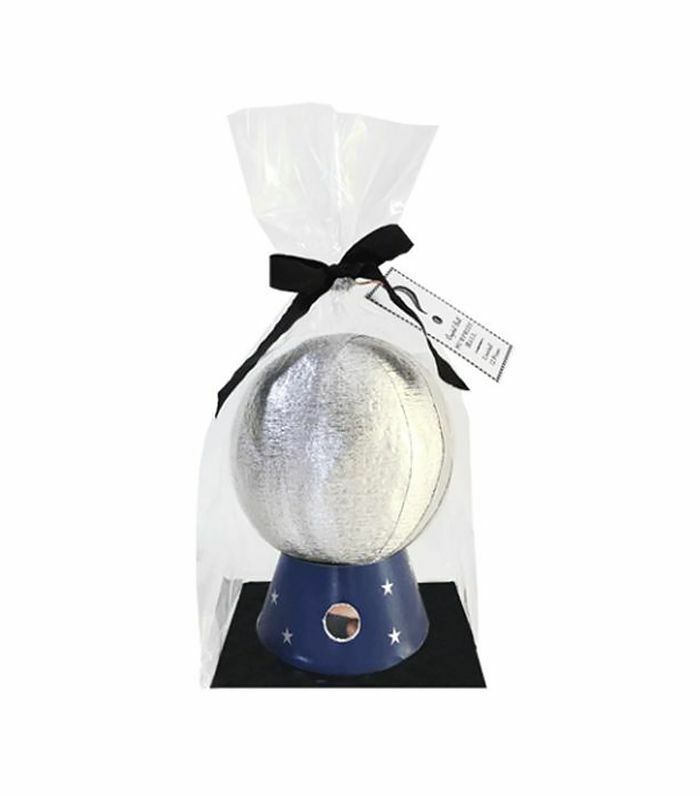 Each crystal ball contains different goodies including a crown, a fortune capsule, an etched charm, sweets, and even a star necklace. What to include in your child's V-Day card? 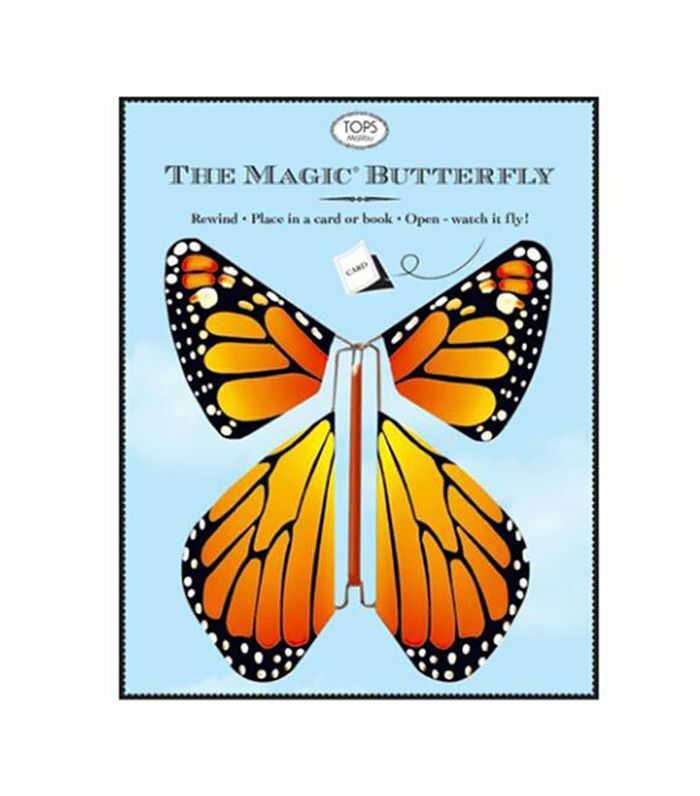 Wind up this magic butterfly's wings and let it soar up into the sky as a special surprise.